I have not put my hands on this book so I cannot review what is inside the book. But I can give you the implications if anyone wants to take this road. Col 2:9 "In Christ dwell's all the pleroma(fullness) of deity in bodily form"
Mañjuśrī, people churn milk because they understand that butter is present therein. Why do people not churn water ? Because that substance is not present there. Likewise, Mañjuśrī, people maintain moral discipline (śīla) and engage in the holy life (brahmacarya) because of the existence of the Tathāgata-garbha. Moreover, Mañjuśrī, people who want gold and are endowed with discernment, dig in cliffs. Why do they not dig in trees? They dig in rocks where gold-ore (suvarna-dhātu) is present, but they do not dig in trees, where there is no gold. Likewise, Mañjuśrī, people who discern the presence of the dhātu [i.e., buddha-dhatu, which means buddha principle] think to themselves, "I shall become a buddha" and so maintain the moral discipline and engage in the holy life. Furthermore, Mañjuśrī, if there were no dhātu, the holy life would be pointless. Just as butter will never be produced from water even if one were to churn it for a billion years, similarly there would be no benefit for those attached to a self who engage in the holy life and the moral discipline if there were no self principle [ātma-dhātu]. The sutra is remarkable for the vigour and passion with which Angulimala teaches Dharma and for its doctrine that at the heart of all beings is one unified principle: the buddha-dhatu (Buddha-nature) or tathagatagarbha. 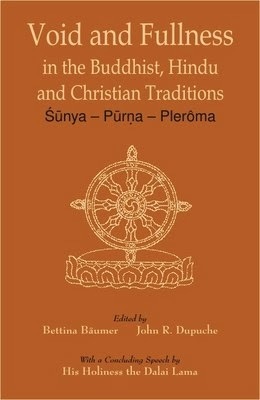 The doctrines of this sutra are also strikingly congruent with those of the much longer Mahaparinirvana Sutra. For a fuller understanding of whether tathagatagarbha is ontologically real or empty continue reading here. As I have made out very clear in my other posts, for us Pleroma is not just an abstract idea, it has a physical local existence and forms the body of Christ in Christianity, body of Savitr in Hinduism and body of Samanthabhadra in Buddhism. 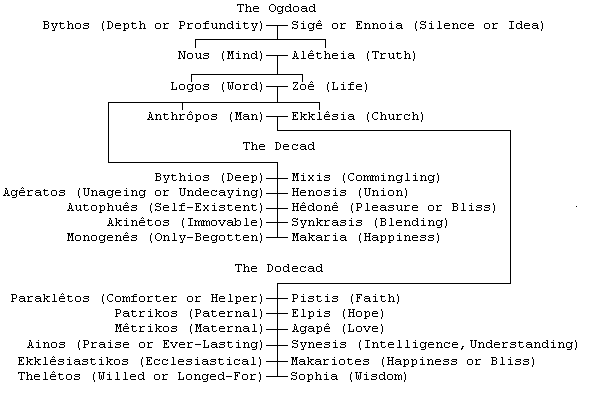 The 30 odd Aeons of Valentinianism. The hundred peaceful and wrathful deities of Tibetan Buddhism. List of Rigvedic deities by number of dedicated hymns, after Griffith (1888). Some dedications are to paired deities, such as Indra-Agni, Mitra-Varuna, Soma-Rudra, here counted doubly. 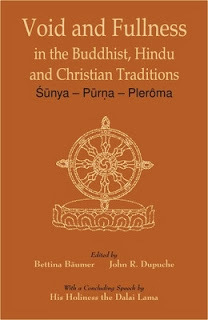 All denominations of Christianity, Buddhism and Hinduism will perish and die soon except Valentinianism in Christianity worshipping the pneumatic Christ (uniting all Christians having a fuller esoteric interpretation of the Bible), Sauram in Hinduism worshipping the Sun God (uniting all Hindus having a fuller esoteric interpretation of the Vedas and the Upanishads) and Dzogchen in Buddhism upholding the Buddha-nature or tathagathagarbha. You better know the implications before getting yourself into such a venture! Now one can see why I have given so much importance to Valentinianism compared to Souram or Dzogchen. It is because it is only in Valentinianism that one finds explicit expressions of my views and in Souram and Dzogchen it exists implicitly and one has to do a lot of reading and research in these two religions to find similar expressions of thoughts as there is in Valentinianism. Since many have asked as to how to keep the changes made to the grid persistent during searching and pagination operations I have added three plugin hooks to model the changes made to the grid to the original data source. You need to hook onto these three events of handsontable. afterChange - to model the changes when the user searches for a row and edits a cell. beforeRemoveRow - when the user removes a particular row. afterCreateRow - when the user inserts a new row at a particular index. With this your grid is ready and you can post the data to the server to save it in your database. You can do the validations at the client-side or at the server-side. //have a unique row index or a unique running number in your original data source for preserving persistent changes made to the grid. var noOfRowstoShow = 4; //set the maximum number of rows that should be displayed per page. 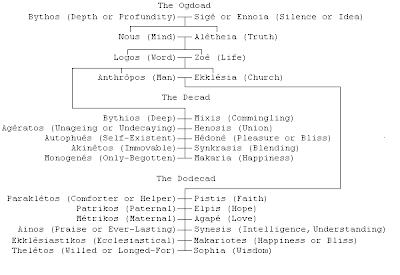 Esotericism, a big threat to the secular world. List of forums where I am banned. Why was I banned? Well, in some places I took the message of the pneumatic Christ to psychic Christians and at others I questioned why scientists have not abandoned scientific realism yet despite all empirical evidence showing that scientific realism is false and I challenged the whole idea of secular Buddhism and at others I made the Hindus remember verses from their scriptural texts and a God whom they have forgotten. Obviously all this would be very annoying to the secular ecclesia. As a Gnostic(Valentinian), I am not going to open an another forum or establish a new church or form communities. Our attitude towards this empirical world has always been neutral and it will continue to remain like that, its neither positive nor negative. "This view of the world is not without ethical consequences. Entering the world is viewed positively in Valentinianism. It was seen as a necessary step towards receiving gnosis and returning to the pleroma. With this in mind, Valentinian teachers vigorously defended marriage and raising children. Ptolemy, an important teacher of the Valentinian school at Rome says of marriage: "Whoever has been in the world and has not loved a woman in such a way as to unite himself with her (i.e. marry her) is not from the Truth and will not attain to the Truth"! (Against Heresies 1:6:4). Similarly, the teacher Theodotus argues that marriage and rearing children "is indispensable for the salvation of those who believe - for this child-bearing is essential until the previously reckoned seed is brought forth" (Excerpts of Theodotus 67:2-3). It is quite easy to see that the Valentinian view on marriage is a logical consequence of their teaching on the creation. If entering the world is the path to salvation for the spiritual element then the means by which this occurs (i.e marriage and child-bearing) must be viewed positively. For this reason Clement of Alexandria saw the Valentinians as allies against those who reject marriage (Stromata 3:1) despite his opposition to other aspects of their theology." Sophia has sown the spiritual seed in all of us, in some it has already borne fruit, in others its ripening and in others it has not ripen yet. But some of my criticisms will not stop and it will continue to go on as long as the misrepresentation of our scriptures is not stopped. "Such a view is not good scholarship or archeology but merely cultural imperialism. The Western Vedic scholars did in the intellectual spehere what the British army did in the political realm discredit, divide and conquer the Hindus. In short, the compelling reasons for the Aryan invasion theory were neither literary nor archeological but political and religious that is to say, not scholarship but prejudice. Such prejudice may not have been intentional but deep-seated political and religious views easily cloud and blur our thinking. It is unfortunate that this this approach has not been questioned more, particularly by Hindus. Even though Indian Vedic scholars like Dayananda saraswati, Bal Gangadhar Tilak and Arobindo rejected it, most Hindus today passively accept it. They allow Western, generally Christian, scholars to interpret their history for them and quite naturally Hinduism is kept in a reduced role. Many Hindus still accept, read or even honor the translations of the 'Vedas' done by such Christian missionary scholars as Max Muller, Griffith, MonierWilliams and H. H. Wilson. Would modern Christians accept an interpretation of the Bible or Biblical history done by Hindus aimed at converting them to Hinduism? Universities in India also use the Western history books and Western Vedic translations that propound such views that denigrate their own culture and country. The modern Western academic world is sensitive to critisms of cultural and social biases. For scholars to take a stand against this biased interpretation of the 'Vedas' would indeed cause a reexamination of many of these historical ideas that can not stand objective scrutiny. But if Hindu scholars are silent or passively accept the misinterpretation of their own culture, it will undoubtly continue, but they will have no one to blame but themselves. It is not an issue to be taken lightly, because how a culture is defined historically creates the perspective from which it is viewed in the modern social and intellectual context. Tolerance is not in allowing a false view of one's own culture and religion to be propagated without question. That is merely self-betrayal." David Frawley is right, any attempts to revive the Vedas is treated as Indian nationalism or as Hindu fundamentalism, its like saying anyone who says that the earth is revolving around the Sun is a fundamentalist, but I am no fool to be carried away by that, if someone thinks that by making personal slurs, deleting my posts of solid evidence and by preaching our scriptures back to us, by any chance you have won the argument then there is nothing more laughable and foolish than that.